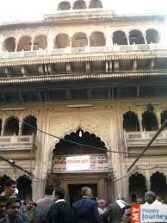 Location: Established by Madhav Gaudiya Sampradaya in 1542 C.E, Radha Damodar Temple is one of the highly revered sites of Vrindavan. 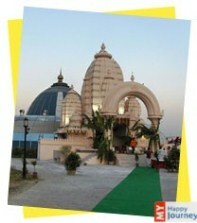 Description: Radha Damodar Temple is a historic temple frequently visited by thousands of devotees every year. 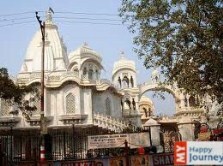 The idols of this shrine were manifested by Srila Rupa Goswami, a devotee of Lord Krishna. He then gave these idols to his nephew and follower, Jiva Goswami. 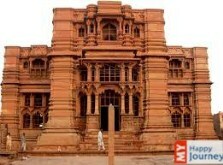 Due to the terror of Mughal emperor, Aurangzeb, the idols were shifted to Jaipur for some time but after the situation became peaceful, they were again brought to this shrine. 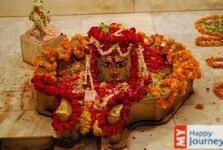 However, some people still believe that the idols present in the shrine are replicas of the original ones. Besides this, the idols of Radha-Madhava that belong to Jayadeva Goswami, Radha-Vrindavan deities of Krishna Dasa Kaviraja Goswami and Radha-Chalacikana deities of Bhugarbha Goswami are also placed here. 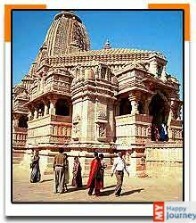 You may also see a Govardhan Shila in the holy sanctum of this shrine, which bears the footprints of Lord Krishna. It is believed that the one, who takes four rounds of this Shila, can get all his wishes fulfilled. Activities: During Kartik, a day after Diwali, the Shila is carried out from the main altar and devotees can get a sight of this divine stone. The day is very famous as Annakut Mahotsava among devotees.